German European Imports is Plano's full service repair shop specializing in the upkeep and maintenance of fine German automobiles, including BMW, Mercedes, Porsche, and Audi. Sam Rass has repaired and maintained German Cars for the last 40 years. 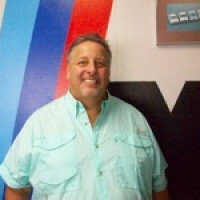 His love of BMW's makes him your perfect choice to keep your prized possession on the road and always in good repair. His shop is staffed with factory trained technicians utilizing genuine factory parts and the same computer diagnostics as BMW dealerships. We have offered bumper to bumper service for over 20 years in the same Plano, TX location. Our repeat customers are proof positive of our dedication to customer satisfaction. Our prices are generally 30% less than the dealerships while offering the exact same diagnostics, factory trained, ASE Certified technicians and genuine parts. Please call us today for an appointment at 972-422-7780 or email us at germaneuropeanimports@live.com. Owner/operator Sam Rass grew up in Bern, Switzerland and now considers Texas his home. Sam apprenticed as a young man in a Mercedes Benz factory where he literally learned the business from the ground floor up. While other repair shops tout their honesty and integrity, Sam's repeat clientele of over 23 years vouch for his character, professionalism and dedication to customer service. Continuing education is required of all technicians employed at German European Imports. German European Imports continually updates and upgrades all diagnostic equipment. Bob Olsen has been a technician at German European Imports for over 20 years. Specializing in the repair and maintenance of Audi and Porsche automobiles you can rely on Bob for knowledge, professionalism and pledge of customer satisfaction. He is continually attending workshops and seminars to stay on top of the latest technology pertaining to your fine German auto. I found these guys from a guy that checks out cars prior to purchase. They have been working on my cars for at least two years. They have always been very reasonable and the work has been excellent. I have referred several people and they have all been thrilled. These guys are always friendly, helpful and honest. They really try to understand the problem before trying to fix something, which means they aren't guessing. I've taken my 3 different BMW's in for maintenance, and varied service and they have always treated me fairly. A couple of times I've taken my car in and they've spent 30 minutes evaluating the car.. only to turn around and say they thought it was fine, come back in 6 months. Most other shops would have taken my money then and later. Have taken my Mercedes there for years and have had the best service. Very knowledgeable and able to pin point the issue even over the phone. Very fair price for excellent work. If you are looking for an honest European car service center that does great work, then you found the right place. 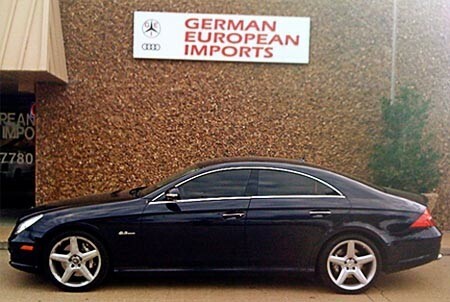 German European Imports is without a doubt, the best foreign car service center in DFW. I speak from two quality experiences I had working with their owner Sam. My BMW had a check engine light on, so I took it up to another shop. They quoted me $1,375. I felt like that was high, so I called around and when I talked to Sam, he started asking me a couple questions about the make and model of the car. Then he said, "You probably have a .....problem that is common for that car." I can't remember exactly what he said, but as I looked down at the print out of problems from the other shop, there it was. He had basically diagnosed it over the phone. He then fixed and inspected the car for $750. Half the price of the other shop. Did it in one day. I then brought him my Audi A6 that was misfiring and had been parked for the last two months. The other shop had told me I needed to take apart most of the engine to get to the drive train and it was going to cost a minimum of $5000. Frankly, I didn't have the money to fix it at that price, but because Sam saved me so much on the BMW, I took a chance and had it towed to him. Sam took the car and after checking it out, said I it was going to cost about $1,700. I agreed, then a couple days later he calls me and says they ordered the wrong part. The part I needed was actually $500 cheaper. The next day the car was ready. I saved an additional $500 on the part and thousands of dollars compared to the other shop and the car has been running great. Sam proved to be the rare combination of someone who knows how to fix cars efficiently and inexpensively and runs his business with integrity. I cannot recommend German European Imports enough. I found my new European car guy and I couldn't be happier about it. We've been looking for an alternative to BMW dealerships for our repair needs for sometime as we own three BMWs. Brought my daughter's 330i to Sam and his staff at German European Imports this morning after I called around to all the dealers and independent Euro shops for pricing information and availability. German European Imports was the most responsive and friendliest. They provided quality service at a fair price and completed the work faster than estimated. Looks like they've won my trust, and I'll definitely be back with my M5 and 325i the next time we need service. German European Imports did a fantastic job repairing my 2006 BMW CiC and took great care of it while they had it. My car runs better than new and my mind is very at ease knowing it had the best mechanic working on it. I will take all my vehicles (new or pre-owned) to Sam for any type of maintenance. Sam listens to his customers, has an outstanding work ethic and delivers superior results. German European Imports has taken great care of my 2000 M Roadster since it went out of warranty 7 years ago. The work is great at about half the cost of the dealer. Owner, Sam, is German and has the mechanic certificates for BMW and Mercedes. I found him as a result of many other happy customers with BMWs.